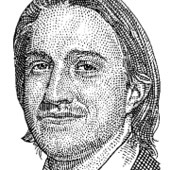 Chad Hurley is the other half of the dynamic duo of YouTube, one of the most highly trafficked Web sites, serving billions of videos around the world, and which was acquired by search giant Google for $1.65 billion this past year. As CEO, his responsibilities include oversight of business development, marketing and operations for the company; he also created the interface and designed YouTube's logo. While Mr. Hurley says his overall vision for the service is to keep the process of watching and sharing video effortless for everyone, some major media companies are not as thrilled with the idea because of content piracy concerns. Prior to YouTube, he was the first user interface designer at PayPal, where he designed the first PayPal logo. Mr. Hurley received a bachelor's degree in fine art at Indiana University of Pennsylvania. Two of YouTube’s founders are wading back into familiar territory. Check out Chad Hurley’s taunt! If there’s one thing the co-founders of YouTube don’t need, it’s money. YouTube co-founders Steve Chen and Chad Hurley are busy revamping Delicious, looking to “mainstream the product” so that many more people will be enticed to bookmark and tag Web sites. And users are now uploading two days worth of video to the site every minute. That’s up 100 percent in the last year. Who Got the Loot? How YouTube Split Up Google’s Billions. Oh My God! They Still Haven’t Deposed Kenny! The Secret of Chad Hurley and Steve Chen’s Famous “Two Kings” Video. Revealed! Bill’s retiring from Microsoft is a big deal. It’s a significant event, and I think he should be honored for the contributions he’s made. — Apple’s Steve Jobs in a post-Macworld 2008 keynote interview with the New York Times’ John Markoff.